212 Inc.: Happy Birthday to 212! 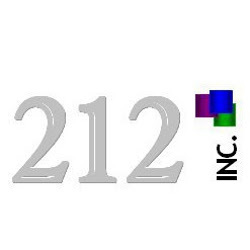 212, Inc., a Providence area-based outsourced sales and direct marketing agency celebrates its third birthday this week. Originally opened in Westchester, NY in February 2007, 212, Inc. has since relocated to the New England area and has enjoyed further growth with its clients -- including one of the nation’s leading telecommunications providers. Most notably in the past three years, 212, Inc. has seen annually revenues steadily increase along with client satisfaction. Since relocating to New England, 212 has seen a 500% growth increase. In the past six months, 212 has increased its management and sales support staff due to increased hiring. It has also received recognition in both the third quarter and fourth quarter of 2009 for outstanding sales performance, highest sales increase, and lowest customer concern rate.